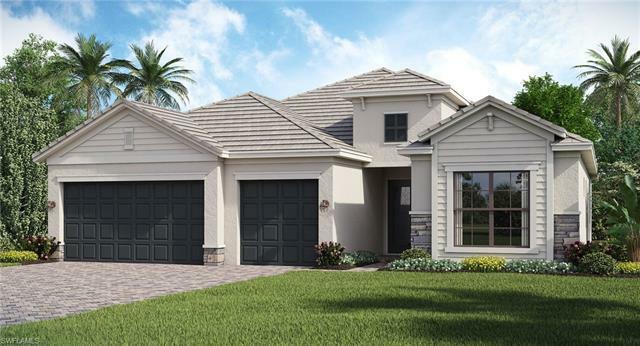 New construction - Summerville II floor plan featuring upgraded cabinets, tile on diagonal expanded throughout entire home and granite vanities in all baths. Discover the award-winning community of Gateway. This gated enclave of exceptional single-family homes includes a wide selection of home styles to fit your budget and lifestyle. Hampton Park is your gateway to the best of Fort Myers â legendary beaches and boating, Boston Red Sox Spring Training games, nearby shopping and dining at Gulf Coast Town Center and Bell Tower Shops, and continuing education at Florida Gulf Coast University. **Please note: exterior rendering, photography showing model home furniture, accessories, wall-coverings & options, and virtual tour are for display purposes only and do not depict exact colors, interior finishes or landscaping design for this specific home. Please schedule your showing for more information.